After an especially exciting and engaging 2015 season, Summit Motorsports Park officials are proud to present its schedule for the 2016 season. It opens with the 35th Annual Spring Warm-Up on April 16 and heats up with the largest NHRA Lucas Oil Drag Racing Series event in the country, the 10th Annual Mickey Mart Rewards Cavalcade of Stars presented by Budweiser, May 20-22, and Super Summit, which returns for the second year in a row, June 3-4. 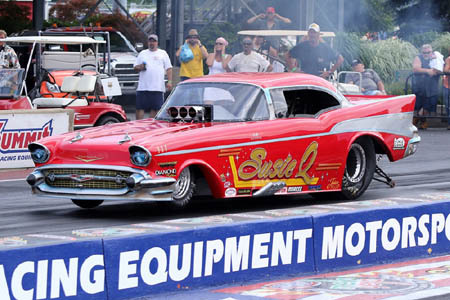 Furiously fast-accelerating 10,000 horsepower Top Fuel dragsters and 320 mph-plus Funny Cars will be part of the 10th Annual Summit Racing Equipment NHRA Nationals, June 23-26, and there will be Fords galore at the Inaugural Fun Ford Reloaded, July 8-10. Thousands of street-rod drivers from across the country will converge for the 15th Annual Wanda Brand AkzoNobel Blue Suede Cruise, July 15-17, while Chargers, Challengers and other classics will run rampant at the 4th Annual Monster Mopar Weekend, July 29-31, and Trans Ams and Tempests will take the stage for the 25th Annual Ames Performance Pontiac Nationals, August 5-7. The largest single-day drag race in the world, the 39th Annual Kelly Services Night Under Fire, will feature more than fifty performers and a multi-thousand dollar fireworks display choreographed to music, August 12-14, and the 15th Annual NMCA World Street Finals will put the exclamation point on the month, August 26-28. Fall weather will bring unruly and unpredictable heads-up cars to the Summit Racing Equipment Shakedown at the Summit presented by Mickey Thompson Performance Tires and Wheels, September 16-18, and the largest sportsman contingent in the world will come together for the Quick Fuel Technology Halloween Classic XLIII, October 16-23. To cater to the enthusiasm enveloping the park's events, fans may begin purchasing tickets at noon on Nov. 16, 2015, for 10th Annual Mickey Mart Rewards Cavalcade of Stars presented by Budweiser, 10th Annual Summit Racing Equipment NHRA Nationals, 15th Annual Wanda Brand AzkoNobel Blue Suede Cruise, 25th Annual Ames Performance Pontiac Nationals, 39th Annual Kelly Services Night Under Fire, 15th Annual NMCA World Street Finals and the Summit Racing Equipment Shakedown at the Summit presented by Mickey Thompson Performance Tires and Wheels. 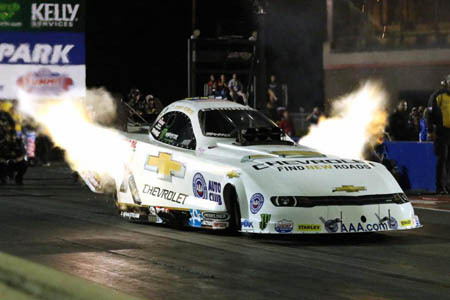 A variety of ticketing options are available, from general admission to John Force Winner's Circle Seats. Summit Motorsports Park is at 1300 State Route 18, Norwalk, Ohio. For more information, please visit www.summitmotorsportspark.com or call 419-668-5555.